Many people believe that people of the Wiccan religion are witches and what-not that cast spells to make life work for them and they fly around on brooms. That's what books and movies made up. Wicca is a true religion that people believe in. 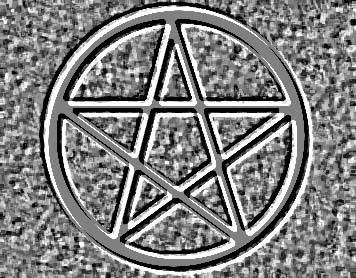 This website will be a quick guide to those of you who wish to learn a little more about the Wiccan religion or are a beginner at Wiccan studies. Most people who are part of the Wiccan religion believe in the law of karma and that each of us has the right to live life as we wish. "Live and ye let live!" "For every action there is a reaction and by your deeds you shall be known."